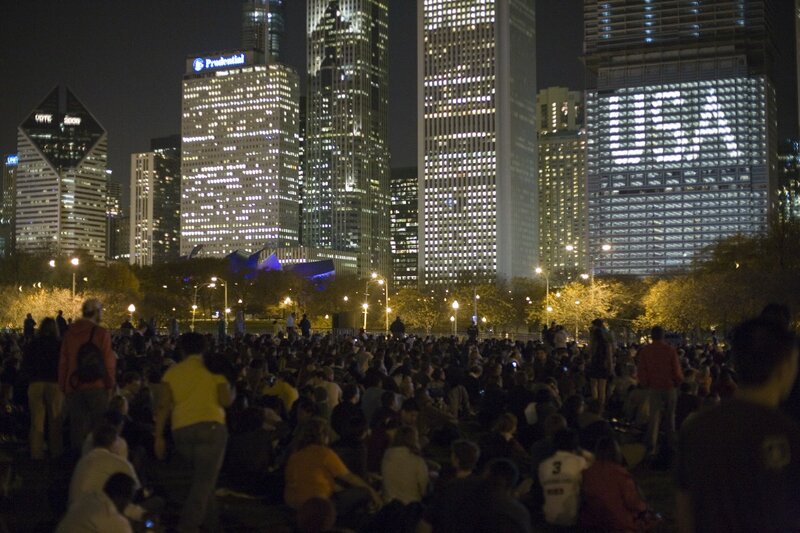 Festivities in Grant Park tonight! We spent a few hours in the area and came home because we didn’t have tickets to see the Obama acceptance speech. It was a spectacular scene and we’ll post more photos very soon! Loved the building with the lights spelling USA!